Nvidia and Mercedes are again extending their partnership, this time building an AI-powered super car. As it relates to the automobile, it's been an evolving relationship between Mercedes-Benz and Nvidia (NVDA - Get Report) . At last year's Consumer Electronics Show`, Mercedes-Benz introduced its new MBUX platform -- the Mercedes Benz User Experience. It provides a gorgeously displayed infotainment system powered by artificial intelligence. And the company powering the new MBUX system? Nvidia, of course. Put simply, with the help of Nvidia, MBUX brings an AI-powered supercomputer into the car's cabin. The duo wanted something powerful enough to respond to commands like, "Hey Mercedes, take me home," "Hey Mercedes, roll my window down" and "Hey Mercedes, can I wear flip-flops tomorrow?" The goal being that together Mercedes and Nvidia could not only improve the driving experience, but also the safety while driving. MBUX was built with the idea that it can continue to learn new capabilities and gain more advanced skills over time thanks to over-the-air updates. The duo didn't stop there, as Daimler (DDAIF -- Mercedes' parent company -- and Bosch selected Nvidia to power its self-driving taxi service. The group hopes to have its test vehicles on the road later this year, with Nvidia's DRIVE Pegasus platform powering its capabilities. When the announcement was made in July, I spoke with Danny Shapiro, the senior director of automotive for Nvidia. At this point, Nvidia was inside of Mercedes' consumer vehicles via MBUX and now powering its commercial autonomous driving ambitions. I asked Shapiro, "Would it be unreasonable to think Nvidia and Mercedes might work together even more down the road, particularly as it relates to autonomous driving?" No, it wouldn't be unreasonable to think they might. That brings us to CES 2019, where Mercedes and Nvidia again announced a partnership. 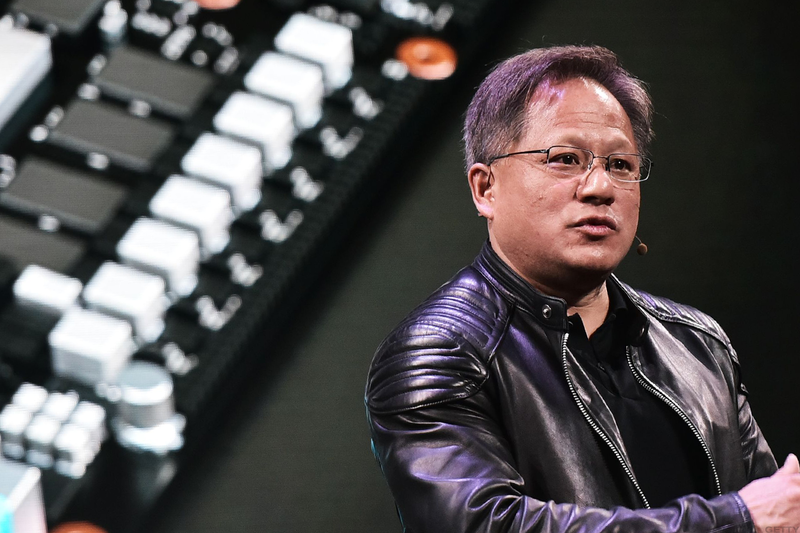 At the event, Nvidia CEO Jensen Huang said, "We're announcing a new partnership going forward, creating a computer that defines the future of autonomous vehicles, the future of AI and the future of mobility." Instead of having various units powering and running on different systems, Nvidia and Mercedes plan to have a "single system providing self-driving capabilities and smart-cockpit functions that replace dozens of smaller processors inside current cars." Mercedes-Benz Executive Vice President Sajjad Khan had this to say about working with Nvidia: "We need a partner we can rely on and work with, and I'm excited to say we've found that in Nvidia. This partnership has brought us farther ahead than we ever could have." What does the partnership mean for the companies? For Mercedes, it gives the company a best-in-class partner and supplier that can help vault it to the top of the autonomous driving leaderboard. Using Nvidia for its various DRIVE platforms essentially gives Mercedes access to some of the best technology in the industry. For Nvidia, it gives the company a luxury-level partner with deep pockets and plenty of manufacturing volume to make it worth its time. Both companies -- and I'm sure they do -- should consider this a massive win-win. Besides, who knows what lies ahead between the two. Just earlier this week, Mercedes announced its autonomous trucking ambitions, perhaps providing Nvidia another opportunity. If and when Mercedes takes the lead in the autonomous driving race, it will be a huge victory for both companies.